Ensuring that your property does not fall prey to vandals or squatters is very important as the remedial measures are more cumbersome as well as time consuming in comparison to the preventive measures. We are expert professionals who deal with boarding up properties within 24 hours so as to ensure that your premise is sealed off and made secure within hours of calling us. Property which is not being utilized can be an attraction for nefarious elements that mean to make your home or office their haven and once they have done so, these squatters will not be easy to convince to leave. Getting insurance on a property is imperative and if your property is lying vacant then you may not be able to get it insured without getting it boarded up. Insurance agencies will not cover homes which face a high risk factor of being devalued due to improper maintenance. We have many different qualities of timber which we carry with us to the premises where the boarding up is required. We also size up the area in order to make the board according to the exact measurements. We can do the boarding from inside the premises or outside depending on what you prefer. The area to be covered is so well populated that it leaves no room for dust or grime to find its way through ensuring that the interiors of your premises don’t get affected by dirt and pollution. We use steel security screens which are not only very secure but also leave scope for air and light to filter through. A combination of material using steel, aluminum and timber is also an option for board up. The level of security that you want to add on to your premises is what you would state to us and our highly technical and experienced experts will then accordingly guide you on what would be the best possible option for you. Burglars are very innovative when it comes to tactics of breaking into properties but we secure your investment so well that they will not be able to achieve their goal. We used the best of material and have professionals who know their job thoroughly. If you want to leave an entry point with a lock then we will make one such inlet and outlet to the house which only you will be able to access. A broken window in an occupied home is an invitation to burglars so when the incident happens then you must get it boarded up immediately. When you call our 24 hour helpline, you can inform us of the reason for boarding and if it is an emergency like a broken window then we will be there within the shortest period of time. We have years of experience in boarding up and have a team of well trained and thoroughly professional individuals who will be at your service. Take advantage of our skills and make your abode or investment more secure with our boarding up services at the best prices in the market. Wood Green Locksmiths , we ensures that our customers don’t left out in the cold when they are locked out or their properties left unprotected. Locksmith Wood Green , offers a comprehensive 24 hrs 365 day callout service and can fulfill all your security needs at a affordable low cost. Wood Green mobile locksmiths , takes great effort to make sure that our vans are always fully stocked with all the necessary equipments so that we complete the work in the least possible time. Wood Green locksmith , supplies all types of locks, fitted and opened. Locksmith in Wood Green , uses the latest modern art technology and our fully trained and experienced locksmiths reach the site as quickly as possible. We try our best to open 99% of all locks with no damage. N22 locksmiths , provide free estimates and advice at any time that suits you requirements. 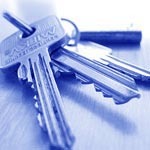 Locksmiths Wood Green , expertise in Burglary Repairs, Door Opening, grills, Keys, Lock Outs, Lost Keys, Master Keys, Safe Opening, Safes, Lock Fitting, Lock Installation, Vaults, Access Control, Changing Locks, Door Entry Systems. 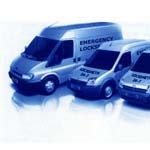 Wood Green Emergency Locksmiths , offers an emergency lock change when needed. Locksmiths N22 , our services and price are best at all times, day or night. We guarantee all of our works are of very high standards. 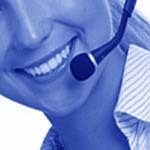 Call us free on 0800 804 8763 to fix an appointment. They helped me get out of the problem in no time. They are highly experienced and talented engineers! At ABC locksmiths, we fit UPVC doors, which are among the most commonly installed doors in the UK. As well as this, our engineers are able to carry out repair work on UPVC doors, whether or not they were installed by our company. We do not charge for call outs and the rates for our work are also very low. We have many engineers working in and around North London - so are able to provide customers with quick quotes at any time. UPVC doors are a great addition to any property in that they allow heat to be retained within a room and are very easy to maintain. It is almost impossible to predict when a burglary will take place which is why our business is always open with telephonists on hand to take your call and engineers ready to attend your home or place of work twenty four hours a day seven days a week. We are able to complete burglary repair work throughout the North London area as a local company, we don not charge our customers extra for call outs. Most companies do this to cover the cost of travelling to a premises - but as we do not have to do so - we do not. At ABC, we are able to install doors manually and entirely from scratch. Our engineers are both highly trained and extremely experience in this type of work. This allows them to carry out such jobs efficiently and with little to no cosmetic or actual damage to the frame of your door or to the walls on either side. A lot of this work is done in an emergency - when a customer has had their property broken into. But, we are also able to complete cosmetic work. We have many types of door, with a number of designs available in a number of types of wood.